SQN Sport makes amazing American-made fitness gear for women. Their products mainly include fitness leggings and tops that support a health and active lifestyle, effortlessly blending luxury design and fitness technology into a premium product made in the USA. Where Can I Buy SQN Sport products? For many customers in the US, you will have to order their products through their website, SQNSport.com. You can get a 10% discount when you use the SQN Sport discount code LUCYF4. If you happen to be in Sun Valley, Idaho or Malibu, California—you’re extra lucky! You can actually go to an SQN Store in person and try on their gear. But never fear—for online customers, they have a good return and exchange policy. We love that SQN Sport is focussed on American made products. It supports local workers, safe and fair working conditions, and reduces all of our carbon footprints. 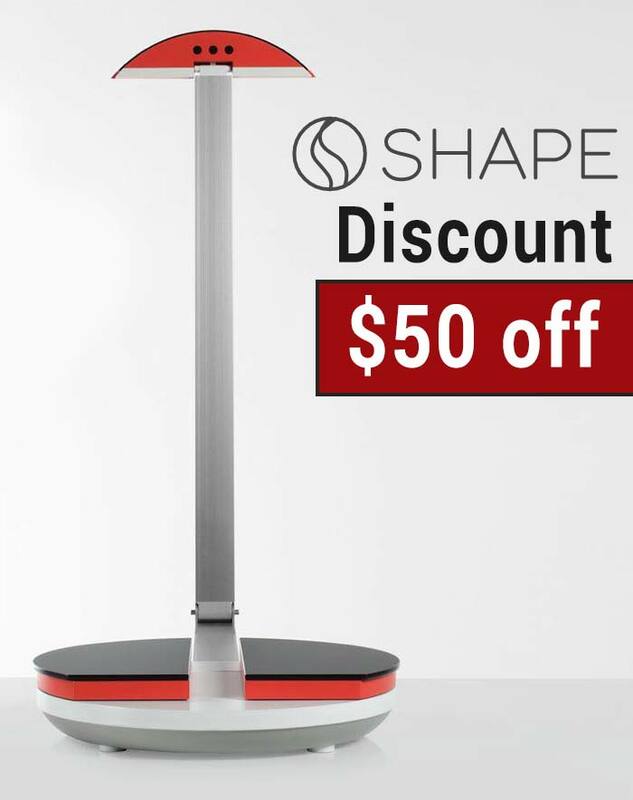 The ShapeScale device is a whole new way to measure your body and changes as you get healthier. 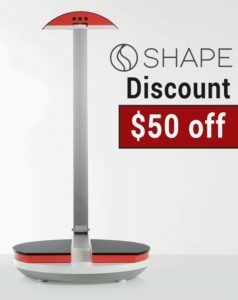 Plus, get a $50 discount when you use the ShapeScale coupon code link located here. It’s currently available for pre-order, and is somewhere in between a body scanner and a scale. It scans your body in the 3D world, and can compare and contrast the changes your body has gone through since the last time you scanned yourself. So not only can it tell you weight changes, but it can tell you which specific areas of your body have gained muscle mass, lost fat, and more. You can then check your progress on a mobile app that can highlight (using a heat map) the changing areas, and show you graphs of your changes. Currently the device is pre-order only, and is priced at $599. To reserve your spot, you pay $299 now and the rest when it ships in 2018. Plus, if you use this $50 referral link, you get an automatic ShapeScale coupon code discount applied to your order. Woohoo!